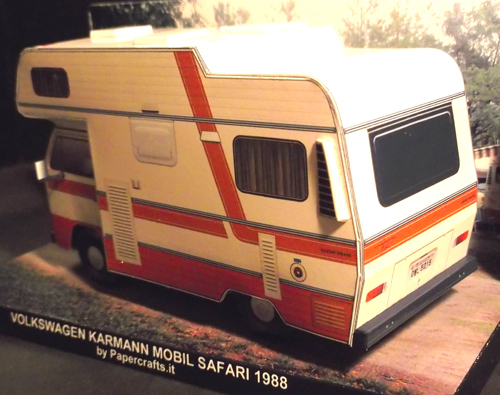 The first Karmann motor homes were launched in 1974 based on the Volkswagen Type 2/T2 chassis. The bodies were of a sandwich structure. These motor home had two beds, kitchen, water tank, shower, toilet, hot water heater and gas heating. 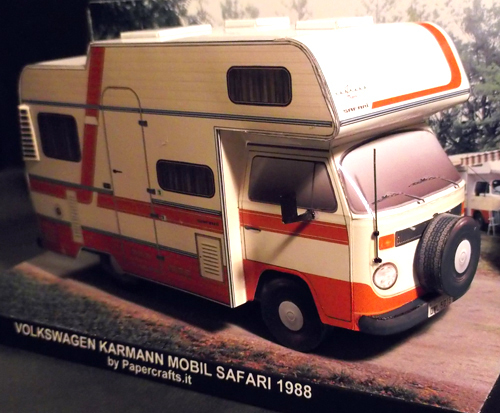 Papercraft scale 1:35.